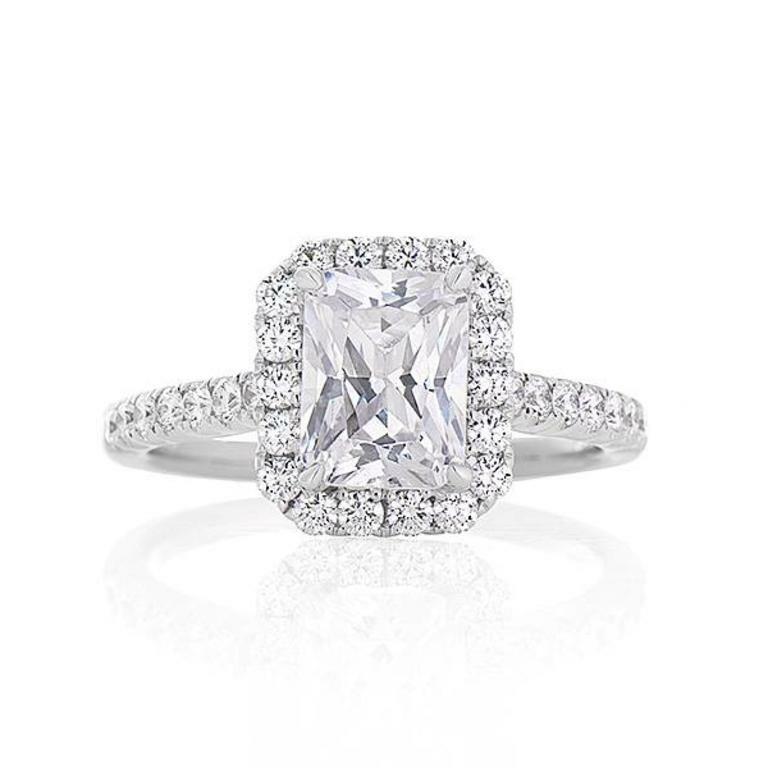 Ladies radiant cut diamond halo engagement ring of classic contemporary styling. 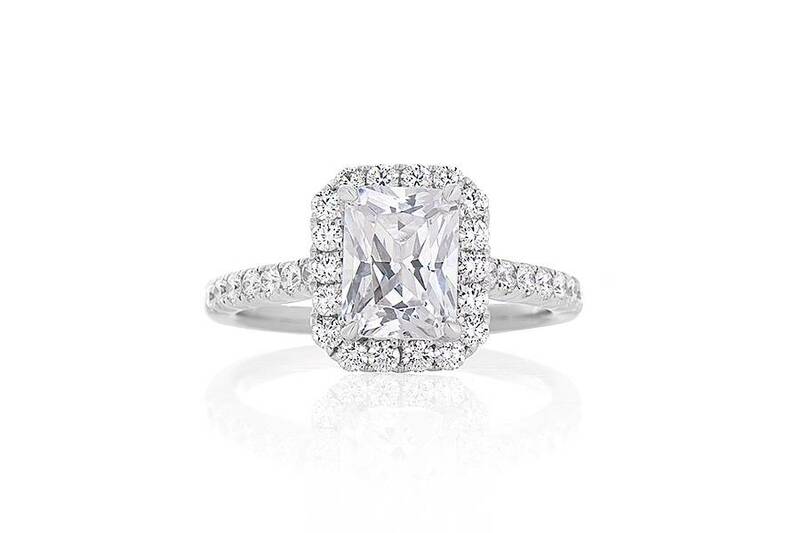 The ring is crafted in 18k white gold and is set with a total of 32 round brilliant cut diamonds that are micro pave set into the halo and down the shoulders of the ring. This setting is crafted for a center diamond that measures 8 x 6 mm but can be customized for any size of diamond. The price is for the mount only, excluding the center stone.